2018 is upon us. Many of us now need to operate our business within the budgets that were set at the end of 2017. 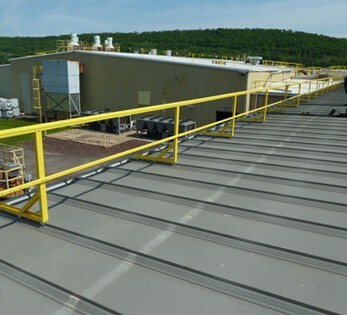 The real question is how can we get the most out of our roofing budget? What obstacles or unforeseen costs can potentially gobble up your contingency funds? According to OSHA statistics, in 2005, there were 767 falls resulting in death and 79,310 falls to a lower level causing serious injury. Many of these falls were through skylights. Your first reaction is to wonder how can anybody fall through a skylight? Our partners at Safety Rail Source offer the explanation. 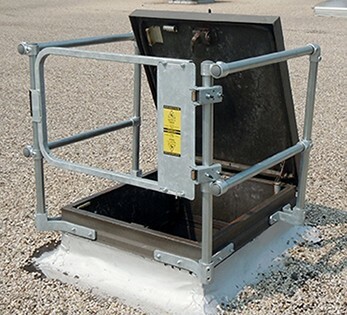 In Safe Roof Series (Part 4): Roof Hatches we defined in general what a roof hatch railing system is as well as a brief history of them. We now will expand on the hatch railing description by discussing some of the features of a non-standard system.